Our main partner this year is Morley’s very own, Truth Hurts Brew Co. They’ll be showing us the very best of real ales and craft beers. An eclectic mix of beers with some resurrected classics with a twist such as their cherry dark mild, Cherry Happiness. They’ll also be featuring their brand new IPA, Part-Time Punk. Wilde Child will be here with an awesome selection of unruly beers. Some of their latest ‘out there’ beers include Distorting Horizons, a tropical IPA and Shrimps & Barbies, an australian pale ale. In June 2017 the brewery took over and moved the brewery into Oscar’s bar in Morley. 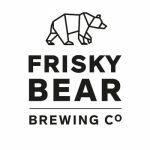 ​Frisky Bear produces 2 permanent and a rotating range of guest beers. These can all be found on the bar at Oscars. ​BASED IN SHEEPSCAR, JUST OUTSIDE LEEDS CITY CENTRE, NOMADIC BEERS IS A PRODUCER OF TASTY, QUALITY, VEGAN & vegetarian-FRIENDLY ALES. ​WHETHER IT BE their three CORE BEERS; ‘PALE’, ‘STRIDER’ OR ‘BANDIT’, OR SPECIALS LIKE ‘NO MORE HEROES’ & ‘TREASON’, ALL OF their BEERS ARE DESIGNED TO QUENCH YOUR WANDERING THIRST. Horsforth Brewery’s flagship beer is ‘Pale’, and also offers an ever-changing range of specials, using lots of different ingredients to showcase a wide variety of beer styles. ​All Horsforth Brewery beers are vegetarian-friendly. Most are also vegan-friendly, but please check when buying as some of the beers contain lactose. We are a small independent craft brewery based in Garforth (West Yorkshire). Beers include Hip Hop, one of their two flagship beers. Low colour malt mixed with generous handfuls of hops provide a dry, sweet, hop forward contemporary ale. One of Quirky’s other beers is Quirky Bitter, a chestnut coloured bitter with a good balance between malt and hops to provide an easy drinking session ale. Mill Valley Brewery is in the heart of the textile trade in Cleckheaton, West Yorkshire, and the area is famous for the Luddite Revolution. Ridgeside’s philosophy is simple; brew beers to be remembered. In addition to their solid line up of long-time favourites, they are continuously investigating and experimenting with diverse styles, flavours, and aromas to brew limited-edition specials. Furthermore, all of their beers are brewed with great care, love and passion in small batches to ensure the highest quality. 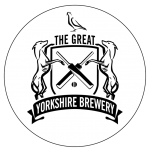 All their beers are brewed in the former Cropton Brewery in North Yorkshire. Some of the well-known beers including Blackout – an 18th century London beer style brewed with chocolate and vanilla – by ‘eck it’s addictive. Small batch, flavour-forward beers, crafted in ARMLEY, Leeds. The quality and flavour of ANTHOLOGY’s beers are exceptional and well worth seeking out. It’s called Anthology because there isn’t a core range as such. It’s an ever-evolving range of beers, or a ‘collection’. Beer Ink. is an uncompromising brewery established in 2016 in the sunny valleys of Huddersfield producing Keg, Cask and bottles of Craft Beer / Real Ale. If you haven’t already tried it, you need to get hold of their Parma Violet Pale Ale. Truly awesome. Founded in 2002, ELLAND are proud to be a proper, independent, traditional micro-brewery. THEIR core cask, keg and bottled beers are available all year round, including the multi-award winning 1872 Porter. At their core is a commitment to experiment with styles from around the world; to master classics, unearth forgotten trends and push the boundaries. Brewing on a small kit in the same building as their tap room means that as they grow and learn they can react directly to the feedback of their customers. Snailsbank cider is made in the heart of apple-growing country, Hertfordshire. They select the best fruit that the locality has to offer and use our years of experience to craft ciders that are traditional, yet suit the modern palate. They don’t believe in chemicals or additives, we work with nature, not against it and, we think you’ll agree, the results speak for themselves.